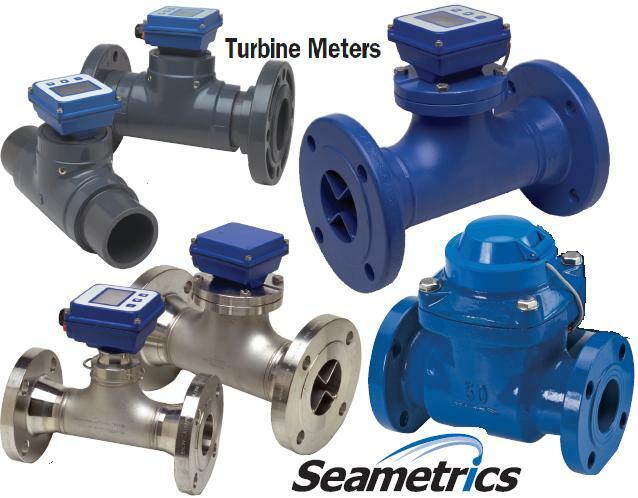 This unique system of 2″ to 8″ Seametrics turbine flow meters uses just one moving part, a precision helical rotor. Rotation of the rotor is electronically detected and processed. The high-quality jewel bearings and polished zirconia ceramic shafts minimize friction while providing long wear life in non-lubricating fluids. The entire rotor assembly can be easily removed for field service without removing the meter from the pipe. 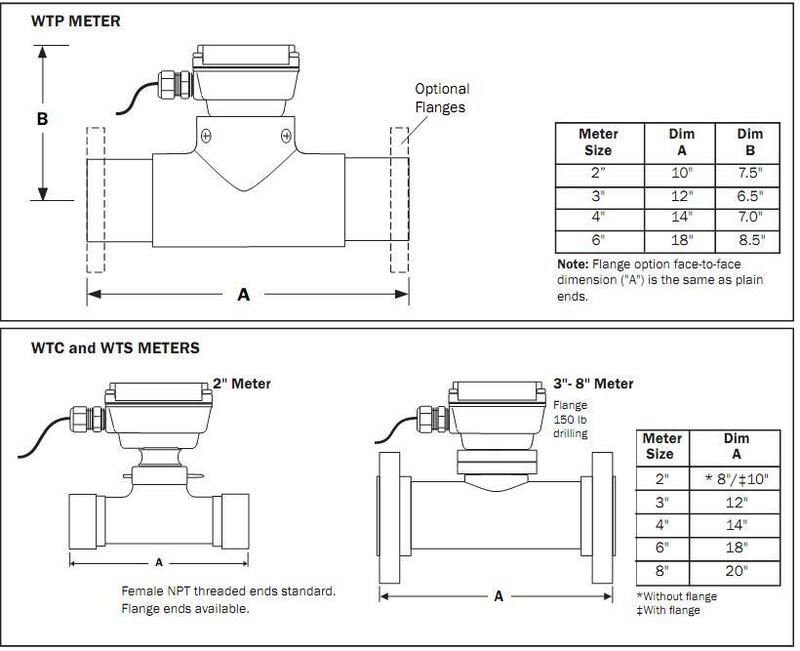 WTP bodies are fabricated from Schedule 80 PVC fittings, WTC bodies from carbon steel tubing, and WTS bodies (available as special order) from stainless steel tubing. 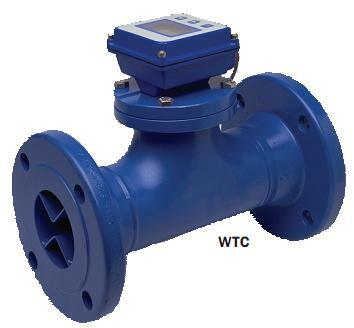 The turbine insert on WTC and WTS meters is machined from a stainless steel casting. The WTP turbine insert is machined from a solid piece of PVC (polypro in 2” size). Turbine rotors on all models are Kynar (PVDF). 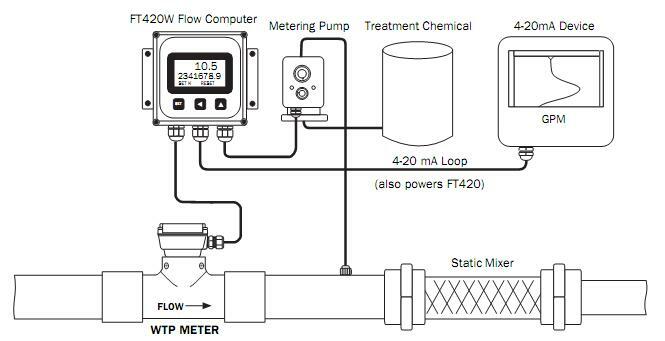 WT flow meters can be ordered with various output options. The basic model (100) comes with pulse output only. 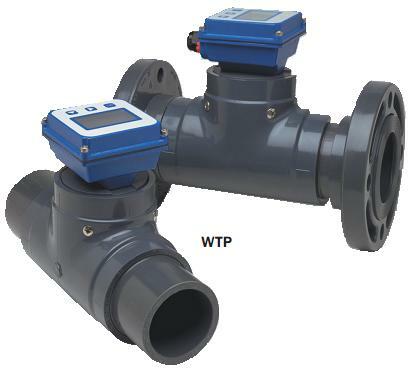 An electronic display (Seametrics FT420) is mounted on the 101 model to display flow rate and total (resettable or non-resettable), and provide a programmable pulse or 4-20 mA output. 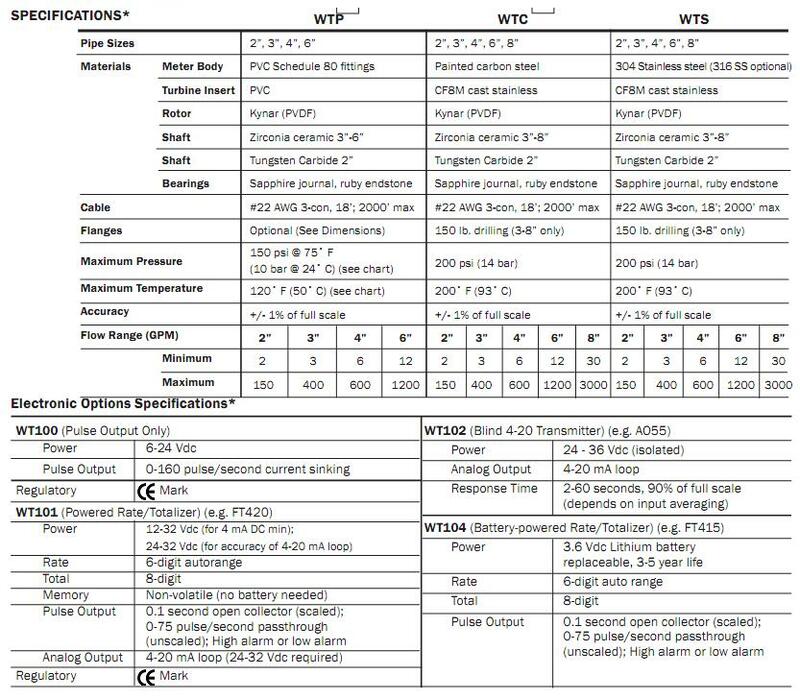 Other electronics options include a blind 4-20 mA transmitter (AO55) on the 102 model and a battery-powered (FT415) rate/totalizer plus pulse output for applications that lack power (104 model). All of these controls/displays can be mounted on the meter or remotely mounted on a wall or panel up to 2,000 feet away. 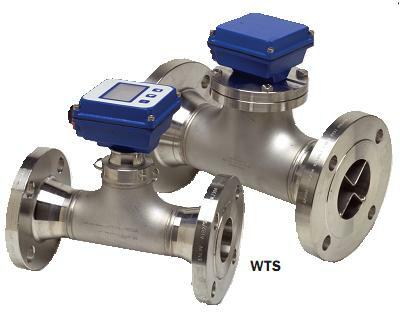 WTSeries flow meters are compatible for use with most other remote-mount Seametrics displays and controls as well.